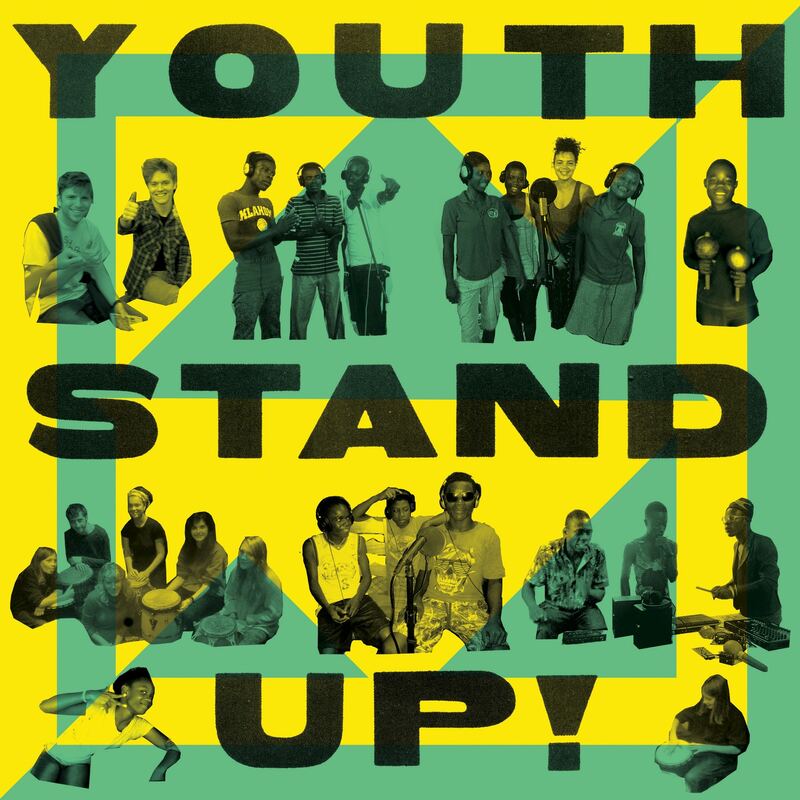 Youth Stand Up! is a collaborative recording project between Glasgow’s Green Door Studio, Lebeha Drumming Center in Hopkins, Belize, and the Tafi Cultural Institute based in Tafi Atome, Ghana. The results of the collaboration are this nine track album released on Autonomous Africa . All proceeds from the Youth Stand Up! album sales will be split between Tuteme Band, Belize and Tafi Cultural Institute’s fund to build their recording studio and cultural centre. There will be two 12"s released in late 2015 / early 2016 featuring remixes of tracks from the album by JD Twitch, Midland, Auntie Flo and Hodge. The 12"s will eau also include an additional bonus track recorded at the original sessions. The aim of the project was to see what would happen if young musicians from opposite sides of the world were given the opportunity to cook up a musical melting pot of West African, Caribbean, and contemporary Glaswegian music. When Green Door Studio’s Emily MacLaren approached JD Twitch from Optimo Music/Autonomous Africa with the idea of an international album project involving musicians spread across three different continents he said he would happily release the results. The studio recruited a total of 11 young musicians from Glasgow bands such as Golden Teacher, Whilst, Psychic Soviets, and Froth to work with 7 young Ghanaian musicians making Hiplife and Borborbor music and 5 young Belizian musicians from Tuteme Band, who played traditional Garifuna music at Lebeha Drumming Center. The Glaswegian musicians came from a variety of musical backgrounds including electronic music, post punk, and free jazz, with the youngest still studying music at school. While Ghana’s rich history of Highlife music is well documented, the traditional Borborbor music of the Volta region, where Tafi Atome is situated, has not been given much exposure. And in Belize, the traditional rhythms of the Garifuna Afro Caribbean community fuse ancestral West African roots with Latin American energy. The Ghanaian and Belizean musicians, whilst practicing traditional BorBorBor and Garifuna rhythms, also shared a strong passion for Jamaican Dancehall and international Hip Hop.